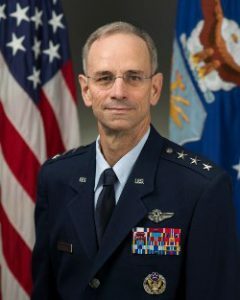 U.S. Air Force Surgeon General Lt. Gen. (Dr.) Mark A. Ediger serves as functional manager of the U.S. Air Force Medical Service (AFMS). In this capacity, he advises the Secretary of the Air Force and Air Force Chief of Staff, as well as the Asst. Secretary of Defense for Health Affairs, on matters pertaining to medical aspects of the air expeditionary force and health of Air Force people. 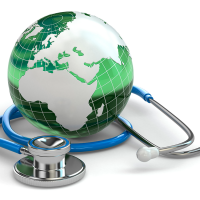 Lt. Gen. Ediger has authority to commit resources worldwide for AFMS, to make decisions affecting delivery of medical services, and to develop plans, programs and procedures to support worldwide medical service missions. 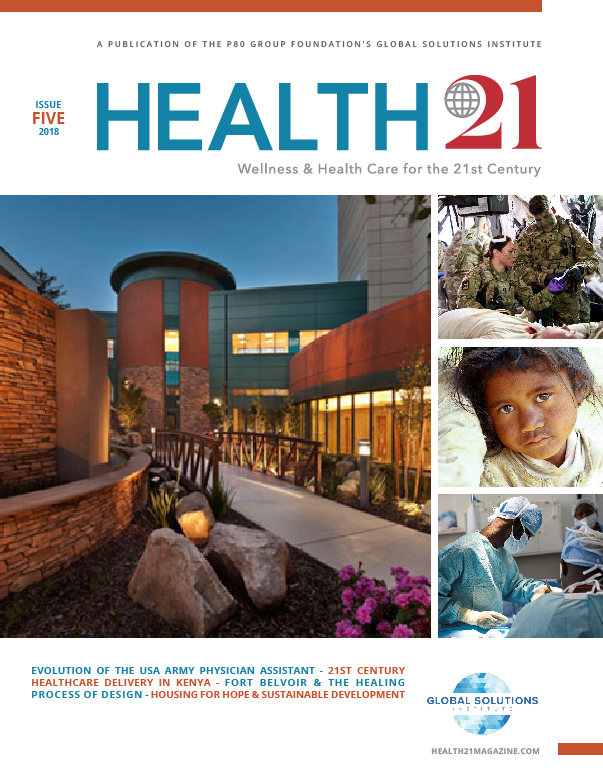 He exercises direction, guidance and technical management of a $5.9 billion, 44,000-person integrated health care delivery system serving 2.6 million beneficiaries at 75 military treatment facilities worldwide. For more information, please go to www.airforcemedicine.af.mil. 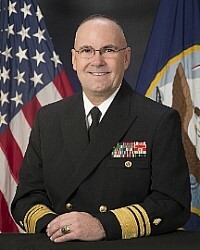 U.S. Navy Surgeon General Vice Admiral C. Forrest Faison, III, assumed duty as the 38th Surgeon General of the Navy Dec. 15, 2015. He is Board Certified in Pediatrics, a senior member of the American College of Physician Executives and an associate clinical professor of pediatrics at the Uniformed Services University of the Health Sciences. VADM Faison inherits a medical culture that saved 97 percent of America’s wounded service members in the Iraq and Afghanistan wars – the highest survival rate in military history. He is keeping his 63,000-person staff current and millennial-relevant by integrating health into service member lives via virtual medicine while also pushing Navy medicine to smartphones. VADM Faison manages an annual budget of $9.6 billion, which not only funds the health care of 2.8 million beneficiaries but also world-renowned, cutting-edge medical research. 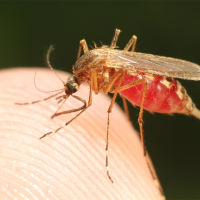 The latter includes experimenting with a malaria vaccine while unraveling Zika and other contagious diseases and epidemics worldwide. For more information, please go to www.med.navy.mil. 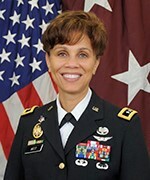 U.S. Army Surgeon General LTG Nadja Y. West is the 44th Surgeon General and Commanding General, U.S. Army Medical Command. She is a graduate of the U.S. Military Academy with a B.S. in Engineering and M.D. from George Washington University School of Medicine in Washington, D.C. LTG West serves as the Army staff medical expert, advising the Secretary of the Army, Army Chief of Staff and other Army leaders and providing guidance to field units. Her commands include six medical research laboratories; eight Army medical centers and numerous clinics in the United States, Europe, Korea and Japan; and the Army Medical Department Center & School, Health Readiness Center of Excellence. LTG West manages a $12 billion budget and oversees care of almost 4 million eligible beneficiaries. In addition to veterinary support to all Services, she oversees engagement in joint-service efforts, to include medical unit participation in multi-service deployments and exercises. For more information, go to www.armymedicine.mil. 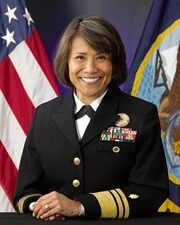 Vice Admiral Raquel C. Bono, director, Defense Health Agency (DHA), obtained her B.S. from the University of Texas at Austin and M.D. from Texas Tech University. She leads a joint, integrated Combat Support Agency enabling the Army, Navy, Air Force and Marine Corps medical services to provide a medically ready force and ready medical force in both peacetime and wartime. In support of an affordable and high quality military health service, DHA directs execution of 10 joint, shared services, to include TRICARE, pharmacy, health information technology, research and acquisition, education and training, public health, medical logistics, facility management, budget resource management and contracting. The TRICARE Health Plan provides worldwide medical, dental and pharmacy programs to 9.4 million uniformed service members, retirees and their families. VADM Bono also supports delivery of health service to Military Health System beneficiaries and is responsible for driving greater integration of clinical and business processes. For more information, go to www.health.mil/dha. U.S. Public Health Acting Surgeon General Rear Admiral (RADM) Sylvia Trent-Adams, Ph.D., R.N., F.A.A.N., received her Bachelor of Science in Nursing from Hampton University, Master of Science in Nursing and Health Policy from the University of Maryland, Baltimore, and Doctor of Philosophy from the University of Maryland, Baltimore County. 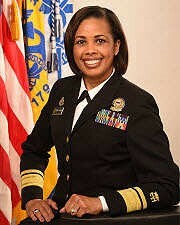 In her capacity as Deputy Surgeon General, she advises and supports the Surgeon General regarding operations of the U.S. Public Health Service (USPHS) and in communicating the best available scientific information to advance the health of the nation. In her previous role as Chief Nurse Officer, she advised on recruitment, assignment, deployment, retention and career development of Corps nurse professionals. RADM Trent-Adams has a long history of working to improve access to care for poor and underserved communities, including having a direct impact on building systems of care to improve public health for marginalized populations domestically and internationally. 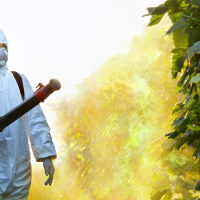 For more information, please go to www.usphs.gov. 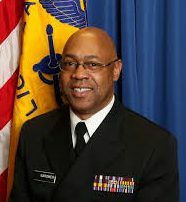 U.S. Public Health Service Chief Engineer Rear Admiral (RADM) Randall J.F. Gardner became the 13th Chief Engineer on Nov. 14, 2013. He received a B.S. in Electrical Engineering from Howard University and M.S. in Engineering Management from George Washington University, both in Washington, D.C. As chief engineer officer, RADM Gardner leads the Commissioned Corps of the U.S. Public Health Service (Corps) Engineer Professional Affairs and advises the Office of the Surgeon General and Department of Health and Human Services (HHS) on recruitment, assignment, deployment, retention and career development of Corps engineer professionals. He also currently serves as Senior Engineer Consultant and Acting Deputy Director, Office of Environmental Health and Engineering (OEHE), Indian Health Services (HIS), under RADM (ret) Gary Hartz, Director OEHE, IHS. RADM Gardner’s emergency response activities include deployments as a liaison officer and assistance with planning functions for Hurricanes Isabel, Katrina-Rita, Gustav, Hanna and Ike. For more information, please go to www.usphs.gov. The Air Force Association (AFA) is the voice for the Air Force family. As such, it connects Airmen before, during and beyond their time in uniform through unique programs and support initiatives like its Wounded Airman Program (WAP). Under a formal Memorandum of Understanding with the U.S. Air Force, AFA operates WAP in partnership with the Air Force Wounded Warrior (AFW2) Program to provide needed support to wounded Airmen. Examples include prosthetics, financial aid, caregiver support, on-site support at adaptive sports camps and Department of Defense (DoD) Warrior Games, and much more. WAP is operated and administered by AFA with staff time and overhead fees covered by its general fund, which means 100 percent of WAP donations are used in direct support of wounded Airmen. 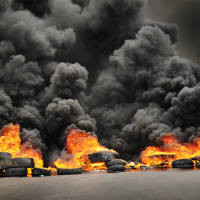 For more information, please go www.afa.org. George Washington University’s Environmental and Energy Management Institute (EEMI) was chartered as a University-wide institute in 2015 to advance human knowledge applicable to pragmatic, implementable, non-regulatory, next generation self-governance solutions that are primarily focused on national and international standards for environmental, energy and sustainability management. 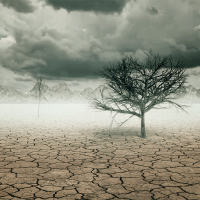 The mission of the Institute, which involves all Schools and Programs across the University, is to conduct state-of-the-art, relevant research to promote graduate and professional education, and to undertake service activities that are pertinent to the application and implementation of national and international standards for management of environmental, energy and sustainability challenges facing organizations and communities throughout the Nation and the world. For more information, contact Jonathan Deason, co-director, at jdeason@gwu.edu or go to www.eemi.seas.gwu.edu. Northeastern State University (NSU) is Oklahoma’s oldest institution of higher learning thanks to its historic link to the Cherokee Nation and Indian Territory. NSU’s student body consistently has the largest number of American Indian students, representing 30 Nations, of any public university in the United States. The institution seeks to continue to enhance its distinction as a university of choice for American Indian students by providing its diverse communities with lifelong learning through a broad array of undergraduate, graduate and professional doctoral degree programs – 50 majors across 68 undergraduate and 26 graduate programs. With high expectations for student success, NSU provides quality teaching, challenging curricula and research, immersive learning opportunities and service to local communities. Faculty and staff offer a service-oriented, supportive learning environment where students prepare to achieve professional and personal success in a multicultural and global society. For more information, go to www.nsuok.edu.